Already working with leading healthcare providers, Sunknowledge Services Inc has been catering powerful support in practice management/ revenue cycle management that improves cash flow. One of the best parts of working with us will always be our flexibility and ability to offer stand alone prior authorization services employing the right checks and balances. Presently, we are a preferred destination for stand out assistance that eliminates challenge areas with great accountability and credibility. 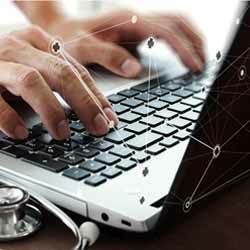 Our proprietary platform “ Prior Auth Online” have an excellent back and forth mechanism that combines manual and electronic prior authorization process, delivering the right checks and balances , relieving you from taxing paper work, reducing pain in your revenue cycle by working as your dedicated extension of operations. We deliver customized support; provide you great support with 99.99% accuracy in prior authorization services. We are a one stop destination for cutting edge prior authorization services which is streamlined, simple and relieves you from the challenges of securing reimbursements in the best possible manner. Our team combines with all leading practice management/ billing systems used in the marketplace. Without any transaction, installation or training expenses, we extend you complete prior authorization services. Presently, Sunknowledge Services Inc has the capability of handling any amount of prior authorization volume and processes more than 50,000 PA’s in a given month. We lay down the perfect foundation for improving your denial management efforts with our specialized support in prior authorization services. As a complete healthcare revenue cycle management organization, we reduce your billing costs by 70% with a collection increase of over 97%. Let our experts share with you, our success story in prior authorization and how we plan to work with you, for experiencing a streamlined revenue cycle, helping you focus better on your care management priorities as a medical practice.